1. Golfer Experience refers to how golfers and management have a different view of facilities and their contribution to enjoyable golf. For example, golfers state they want faster greens but for management, faster greens only results in a slower pace of play. Another example involves directional signs on the course. Using research from the University of Minnesota, management felt that directional signs rated only 20 per cent in importance, but golfers rated signs at 66 per cent. Washroom facilities on the course were rated only 37 per cent in importance for management, but rated 67 per cent by golfers. Both sides agreed, at plus-80 per cent, that good playing conditions made for enjoyable golf. 2. Facility Sustainability refers to how to sustain golf courses with decreasing revenue and increasing costs on every item from labour to water. The USGA states that 20 per cent of golf courses do not make money. Rand Jervis, director of Public Services for the USGA, challenged golf courses to “…boost golfer satisfaction by 20 per cent, while reducing costs by 25 per cent." The ultimate objective of any golf course is to improve the golfing experience and attract new golfers. It is necessary to grow the game or watch the game steadily decline. 3. Innovation in Governance refers to leadership, from the USGA/R&A to the owners and managers at local courses. Scott Simmons, CEO of Golf Canada, stated “…..the challenges facing golf courses transcend borders." No one country has a monopoly on generic problems. Leadership has to be innovative in resource management, pace of play, course layout and pro shop management, regardless of the country. Changes to golf courses are gradually taking place. Some courses have reduced yardage, levelled undulating greens, reduced the size of sand traps, taken water out of play, constructed long open tees to "tee it forward" and switched over to online booking and varied (flexible) pricing. The courses of today are very different from those of past decades, requiring both finesse and distance. Golfers also need to co-operate. They need to play appropriate tees, understand how to use the rules of golf to their advantage and try to match play over stroke play. 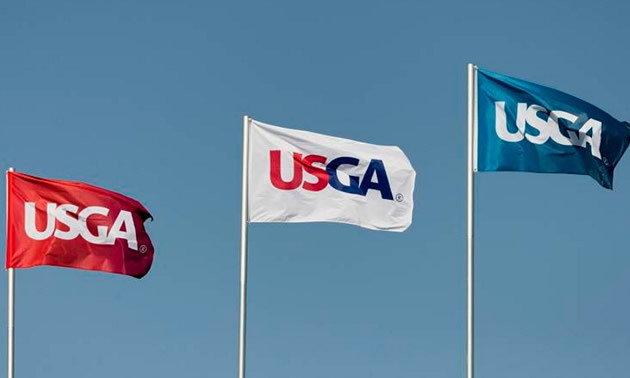 Pace of play remains a constant problem for both golfers and management, but the USGA has found some solutions to slow play. In his closing remarks, USGA executive director Mike Davis, made some controversial comments. “…This notion of continuing to make golf courses harder, longer, narrower, with higher rough and forced carries over water….probably isn’t going to add to the enjoyable experience…….hard does not equal good." Golf, as a sport, will continue to shrink if the courses do not. In simple terms, golf courses have become too difficult and not suitable for most amateurs. Women and juniors have left the game in large numbers, leaving courses largely to men over 40. Golf is a great game but significant changes need to be implemented. Watching professional golf on television is not reality for most amateurs, be it the quality of play or the beauty of the course. There are many suggestions on how to improve the game, from constructing nine- to 12-hole courses, modernizing the rules (coming in 2019), and designing playable courses. Change in the future will take leadership and innovation, but it can be done.